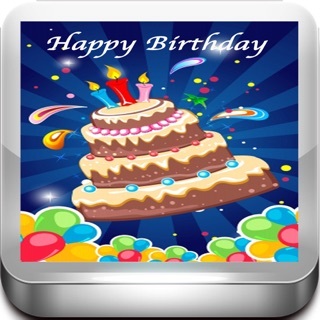 CardSnacks lets you send fun, animated ecards from your phone for all occasions and events: Birthdays, Thank You cards, Anniversaries, Invitations, I Love You, Congratulations, and much more! And you can add gift cards to go along with your card. *and much more, with new cards added every week! With CardSnacks, you no longer need to trudge to your local store or pharmacy to buy a gift card. You can buy gift cards from 100s of leading retailers right from the app and include it with your CardSnack. The recipient can then easily redeem the gift card right from their phone. You can send your greeting cards and gift cards right away or schedule them for future delivery. So you can create the card today, but not have it arrive until their birthday or anniversary. Or send a card to say Good Luck and have it arrive right before their important game or test or meeting. Join CardSnacks as a premium member, and you can send an unlimited number of cards. Membership is $2.99/month, $15.99/6 months, or $19.99/year. By purchasing a CardSnacks membership, you authorize us to automatically charge the membership fee selected to your iTunes Account upon confirmation and on a recurring basis. Your membership automatically renews for the membership fee selected unless auto-renew is turned off at least 24 hours before the end of the current period. You can cancel or change your membership at any time in the iTunes store. 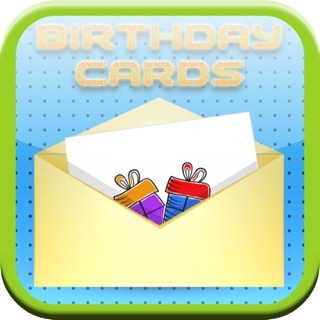 Special Days Tab - Easy access to ecards for all the special days and holidays happening around the world. I had a wonderful time this month using CardSnacks to create custom Christmas cards for 5 family members, in about 10-12 minutes. There are so many entertaining and beautiful-yet-simply animated designs to choose from; as well as the option to use your own photos and videos, that you’d never get bored. The cards look great when you receive them too, but I would also like to see updates to embrace the iPhone X display. Text on the cards can be customized as well, but I would love to see enhancements in this area too, like being able to wrap text above and below images and animations, and animating the text itself a-la the Messages app screen effects. You can also add music to your card, and the included options are cute and enhance the recipient experience-and once again you can choose your own custom music if you prefer. There was only one thing I found to be negative in my overall experience: when returning to a card to modify or customize it, in order to change the text I also had to delete the image on the card, which can cause some lost time if you had previously resized and positioned a photo to best fit the card frame. Finally, I would love to have more amount options available for the various gift cards. Being able to pay for a new Playstation game for my brother for example, would have been more exciting for me than just the $10 gift card option that was available at the time. I quickly wrote a review because I was having problems with the app and I guess I did so prematurely. The developer reached out to me immediately to help me with it and come to find out.. I was expecting it to do something it didn’t do. I thought the app would be open when you texted it to someone instead of just a link to the site for them to open it. Also when you hit the link it takes it to the front of a card that you have to click before you open your actual card that you created and sent. Still, it was just a little work around that I didn’t know to do and they were very prompt to respond. The only reason I’m not giving it five star is that it would be better if the card opened up inside the text message rather than sending a link directing them to a different page to open it. I really dolove the app. It’s fun it’s free and now that I know how it’s working I don’t have a problem with it. Cool app and great support! (Updated) Wonderful app!! You can choose your card & music, write your own message, add video, or record a message. Even create your own card from scratch if you prefer. A perfect way to send really personalized ecards & messages. I really like the music selections, tho you can upload your own if you prefer. Really excellent customer support as well. Immediately & very courteously addressed. As much because of this, as well as enjoying the many creative facets & fun user experience, I’m really impressed. We're so sorry to hear about the issue you are having with the app. The audio issue you are describing is not one that our other users experience, so we'd like to figure out why your recipients are having an issue. Please email us at info@cardsnacks.com and we will work right away to help you solve this problem. As for your other comments about the calendar and notification preference screens, there is an "x" in the top left of these screens that if you click on it, it will return you to the homescreen. If you are not seeing this, please do email us at info@cardsnacks.com so we can figure out why your version of the app is not behaving the way it should. Apologies again for the issues you are having. We take customer experience very seriously, so please email us as we want to make sure we get everything working properly for you.